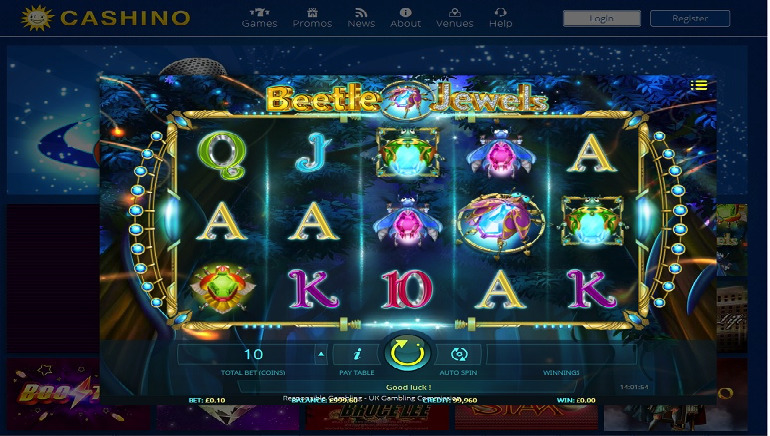 Cashino Casino has an interesting selection of iGaming software. This is of greatest benefit for the number of video slots that will be playable on mobile devices. At Cashino Casino, the site is also notable for its point-based system of earning rewards. Players residing in Great Britain will find that Cashino Casino is fully licensed for access. This has been taken care of through Cashino Casino’s commitment to attain and maintain a legitimate UK Gambling Commission licence. Players will be interested to learn that Cashino Casino will operate on the web browsers of various HTML5-compatible devices. For instance, these will include Android, iPhone, and iPad screens. 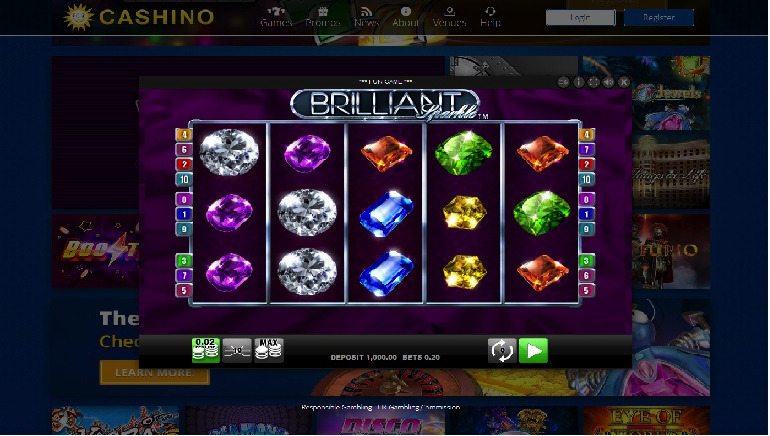 Cashino Casino eliminates the need for app installation by being instantly accessible from browsers. For diversity, Cashino Casino has taken the step of also securing software partnerships with the likes of Blueprint Gaming, Barcrest, WMS, iSoftBet, and SG Gaming. This accumulation of software has given Cashino Casino a stronger library of content. Video slots have been given the spotlight at Cashino Casino, with the library designed to let players find games based on the number of paylines. For instance, you can search five to 10, 15 to 20, or 25 plus – this is a quick way of segmenting the options. 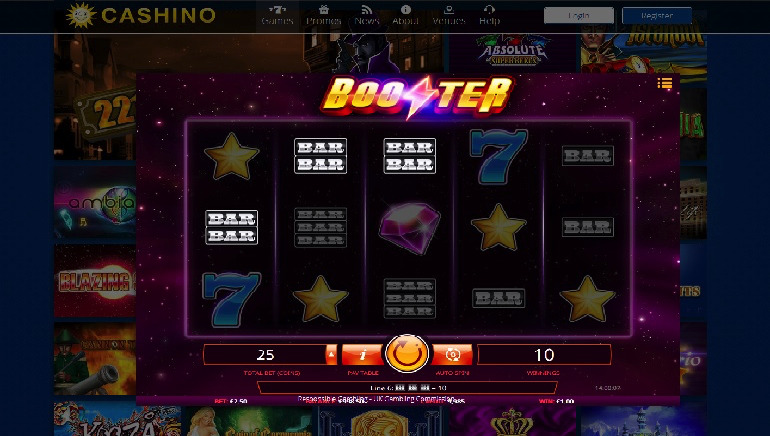 For those who delve into the slots, they will be able to switch through titles like Cash Stax, Crown Gems, Eye of Horus, Endless Summer, The Final Frontier, Thunder Storm, and Zeus 3. Cashino Casino is also able to share branded slots games like Titanic, 221B Baker Street, Rambo, Bruce Lee, Elvis: The King and Basic Instinct,. Players can even find a modest selection of table games if they want slot alternatives. Roulette includes variants such as American and French, while the blackjack tables are comprised of Lucky Pair, Twins, Lucky 7, and 2 against 1. Secure banking is provided behind the encryption of SSL technology. This is in place to let players feel comfortable whether they prefer to use VISA, paysafecard, Maestro, or MasterCard as their funding method. Cashino Casino displays a clear “Help” area at the top of the homepage. A simple click will bring up a guide covering topics like getting started, FAQs, game rules, and game payouts. Several communication methods are also presented, such as live chat, support email, phone number, and social media links.